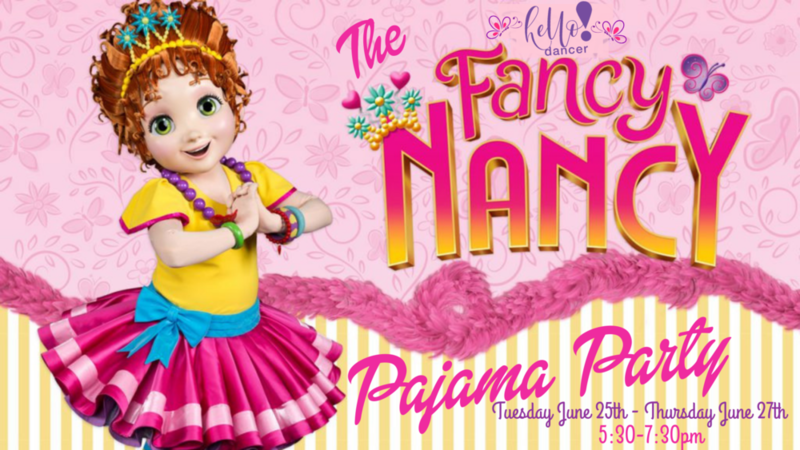 3 Days of super duper fancy pajama party fun from 5:30pm to 7:30 pm nightly! We will wiggle and giggle to all the best songs and make some super duper fun arts all in our PJ’s!!!!!!! Then we will have a magical dinner and do some more dancing after! This is for those little ones from 3-5 years old who want to get a MAGICAL camp experiencE! Get Ready for a MAGIC Filled Summer at Hello Dancer! INCLUDES DANCING, Dinner, ACTIVITY FEES, SNACKS AND MAGIC!